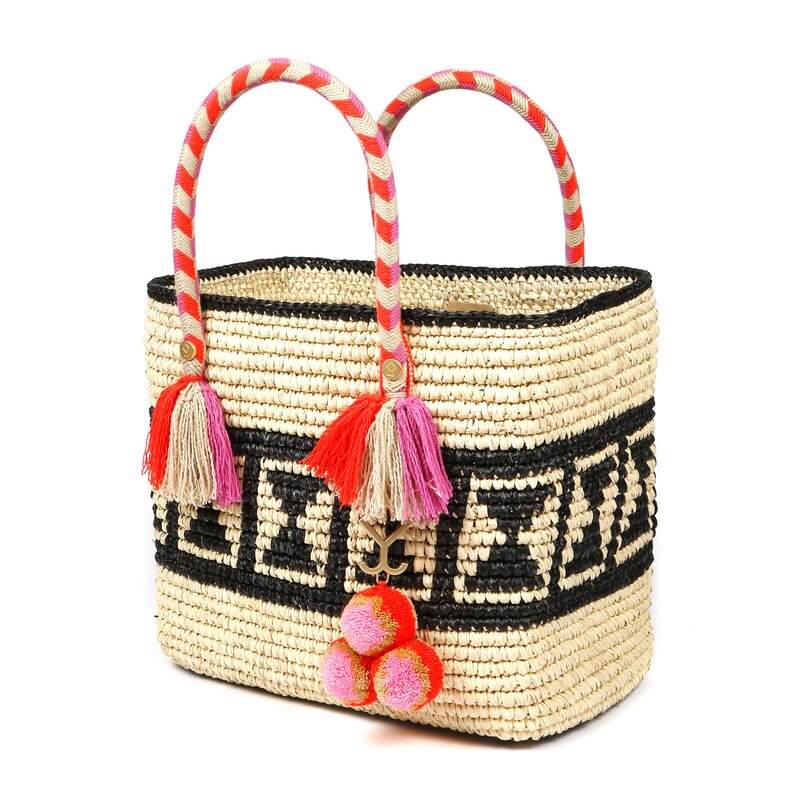 I’ve been coveting a Yosuzi straw bag or hat for months and it looks like it’s my lucky day. Now through August 28th, they’re having a 30% off flash sale with discount code: SUMMER30. Happy shopping! There’s no denying what a special place Nantucket is to many. 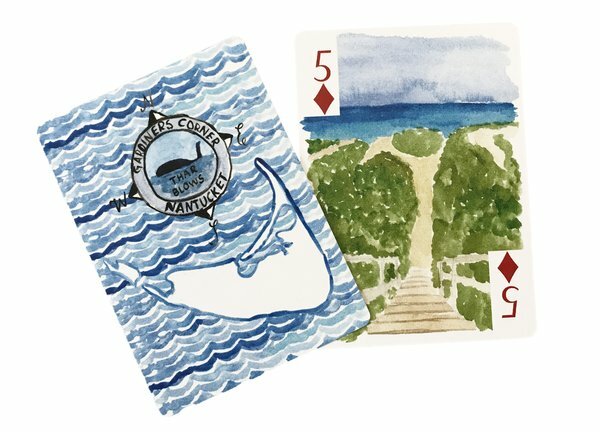 I could not have been more thrilled when Peep’s Paper Products unveiled their latest custom playing card collection featuring my favorite little island. 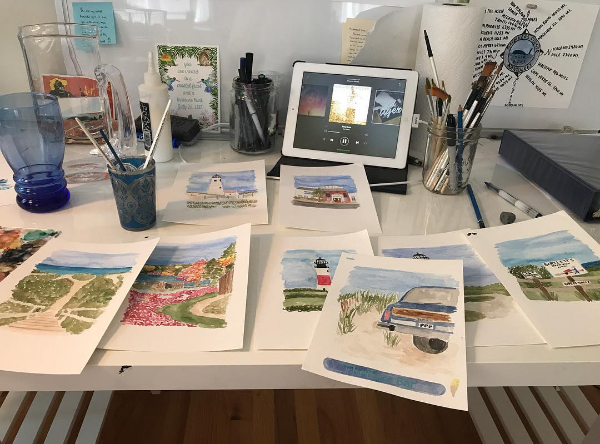 The deck features 16 watercolor images of some of Nantucket’s most special spots…think: Steps Beach, Brant Point and Bartlett’s Farm to name a few. Start your Christmas shopping early (and if you really want to WOW someone special, be sure to check out the Nantucket deck packaged in a hand-made wood box covered in book cloth here)! I especially love this behind-the-scenes glimpse into LouLou’s beautiful creation! I was recently introduced to Kyma sandals thanks to Bloomberg Businessweek. 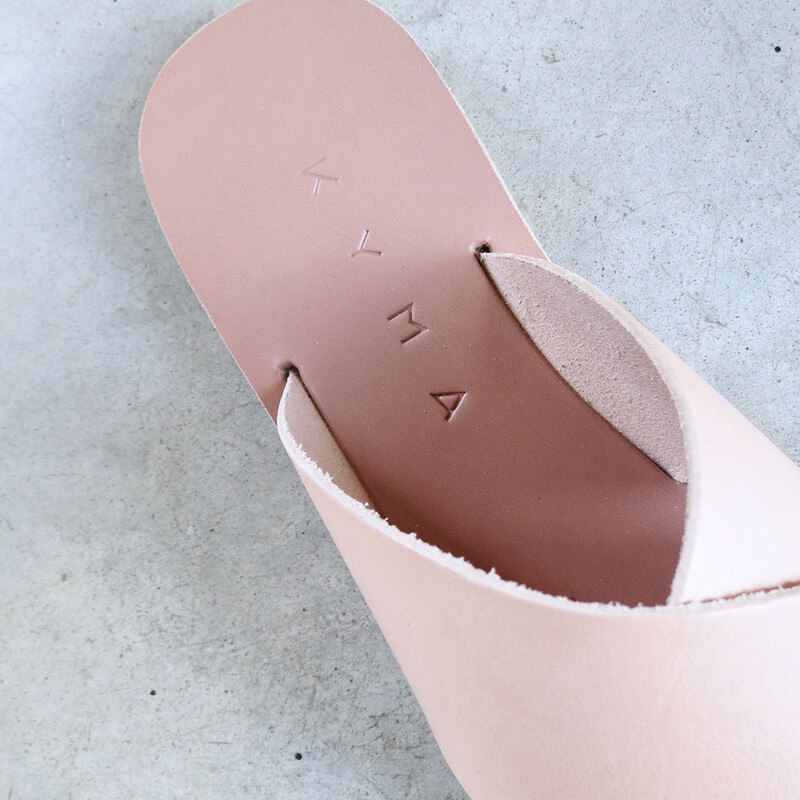 “Simple, handmade, affordable– Greek sandals to make your summer more stylish”. There’s nothing better than a chic, simple sandal. Check out their collection here. I loved every nook and cranny in a recent house we rented on Nantucket–especially all of the light fixtures. 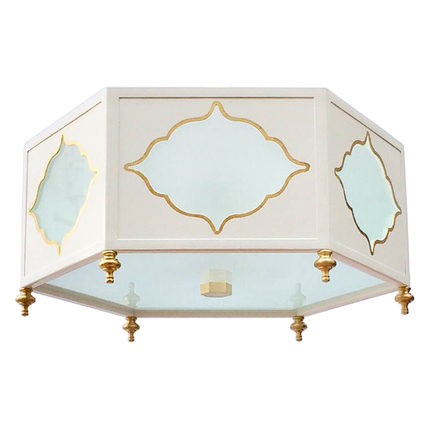 I stayed with my daughter in a sweet little girls room and could not get enough of the pale pink Jardena Flush Mount by Coleen & Company pictured below. Just perfect. Check out more beautiful handmade pieces here. “I think our customer is looking for timeless styles and subtle updates. 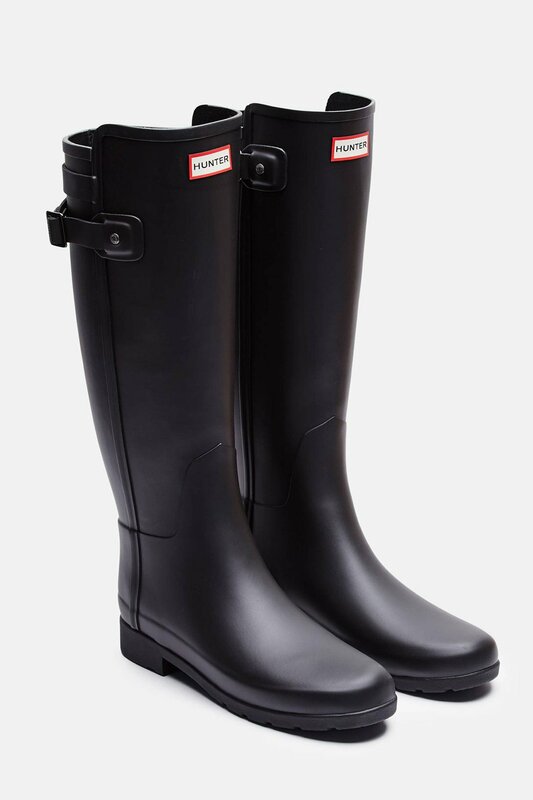 We wanted the line to be very wearable.” Wearable with a reasonable price tag, too. Wonderland sells for $120 to $165 per pair. Check out their vintage-inspired yet modern collection here. I picked up this candle by Mer-Sea & Co at Sconset Bookstore Wines in Nantucket and can’t recommend it enough. 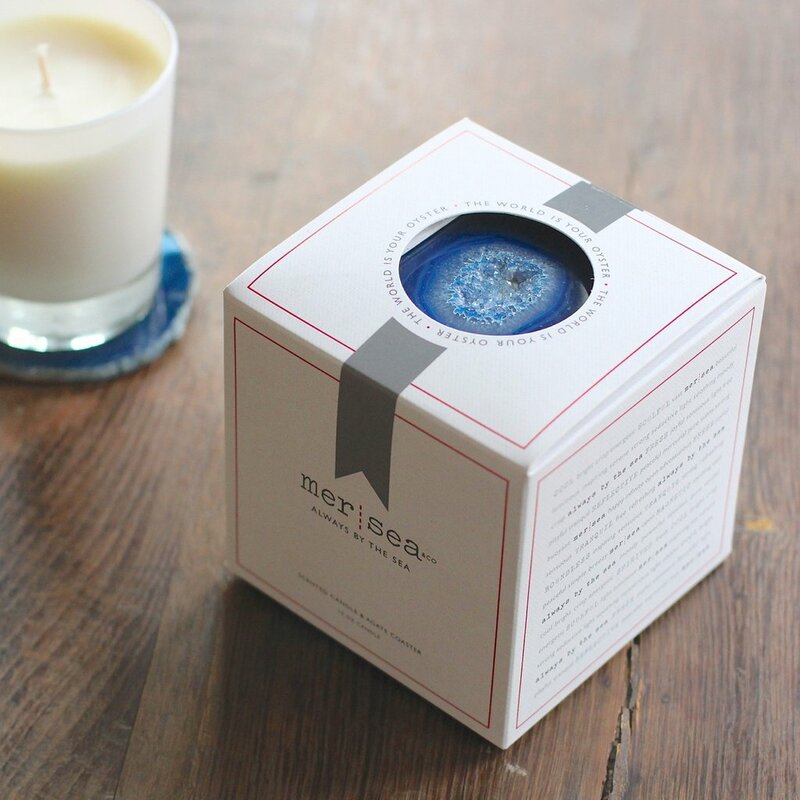 The candle, Crisp Sails (their signature water scent), also comes with an agate coaster making it the perfect gift. I’ve been searching and searching for a safe sunscreen that doesn’t turn my son into a white mess. 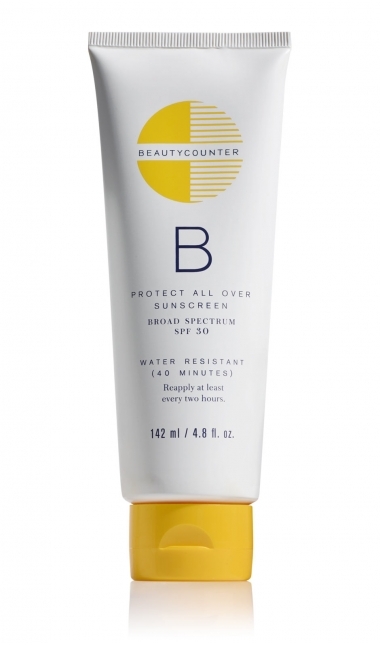 Enter: Beautycounter Protect All Over Sunscreen. Stocking up for the last month of summer! Created with the entire family in mind, this lightweight, water-resistant sunscreen is formulated with non-nano zinc oxide to blend seamlessly into skin without leaving white streaks, protecting you against both UVA and UVB rays. What’s not included? Approximately 1,500 questionable or harmful chemicals on our “Never List” that we never use to formulate our products. The Serena & Lily Summer Tent Sale is happening now with savings up to 70% off. I recently took the Follain skin care quiz and can’t wait to try the products recommended for my skin type. My friend Lou’s baby book is finally here! Now available on Maisonette and The Tot, this is the perfect way to document all of your baby’s milestones. The journal is made of all natural materials – bound in Japanese asahi cloth and printed on Mohawk superfine paper – allowing it to last over 300 years and become a family heirloom. So excited to put mine to use in just a few weeks! I finally pulled out my Spring/ Summer sandals this weekend and it felt GOOD. I also realized it’s time for a refresh. 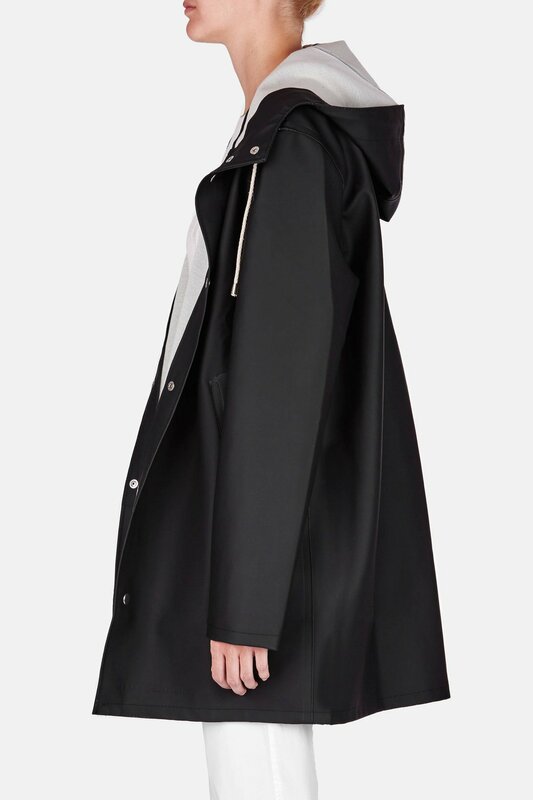 Loeffler Randall is offering 20% site wide with code: LRFAMILY. These scalloped block heels are a classic and these pom pom sandals are super fun. 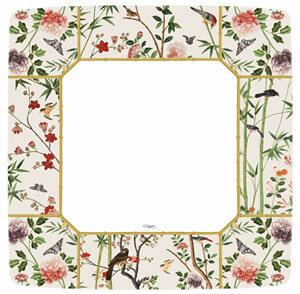 Williams Sonoma has launched their first home decor collaboration with the lifestyle brand, AERIN. 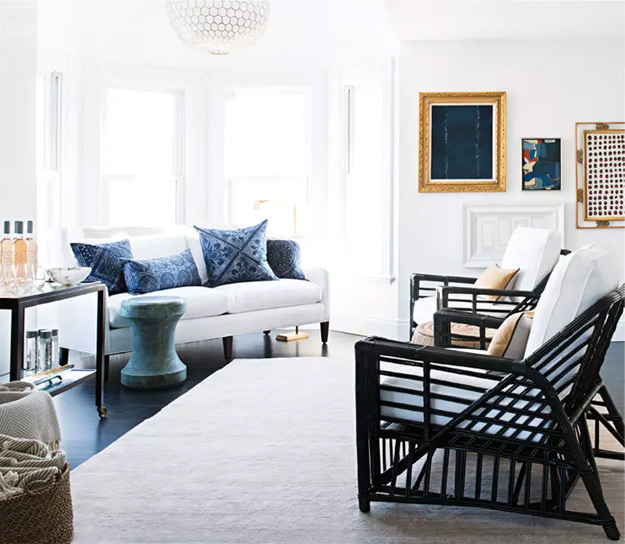 The collection is inspired by the effortless yet elegant design of Aerin Lauder’s Palm Beach home. 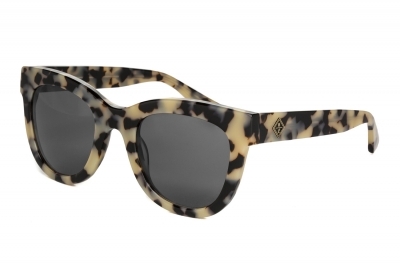 Just in time for the warm summer months ahead…check out the entire collection here. The custom paperweights by Julia B are so pretty. I’d love one for my coffee table! If only I had known about this site a few months ago while hunting for new couch pillows. Through Mintwood Home, you can create custom pillows in four simple steps (click here). An added bonus: you can have your custom pillows in just 14 days (industry standard is six-to-eight weeks!). While we’re on the topic of resort wear (see here and here from this week)– I may as well add that the luxury resort wear line out of the UK, Wiggy Kit, is having a 50% flash sale through midnight in preparation for their new collection arriving soon. This sale only happens once a year so stock up on those classic sun dresses now! Use the code: Spring50 at checkout. I’m attending a wedding in Mustique eight weeks after I give birth. Gulp. So, I’ve been on the hunt for a flattering and comfortable bathing suit (yes, I’m aware that nothing–not even a full body wetsuit– will be flattering eight weeks post baby). But, I think I found my match. Enter: Matteau Swim. Matteau Swim was created to be the subtle swimsuit. The one you reach for to feel confident and at ease by the water. Simple, comfortable and uncomplicated, our styles are focused on fit and show to be flattering and firm. Check out their classic bikini line here but I’ll most likely be sticking with this one piece featured on Moda Operandi. Calypso St. Barth is celebrating their 25th Anniversary with 25% off your entire purchase. Time to stock up for summer! I am loving the new lifestyle and home goods company, India Amory. Julia Amory developed the concept for her business while searching for a printed fabric to use for the tables at her own wedding in Southampton. Unable to find the perfect print at an affordable cost, the solution was to design her own pattern using the Indian block print technique and produce the napkins and tablecloths herself. Truly beautiful designs. 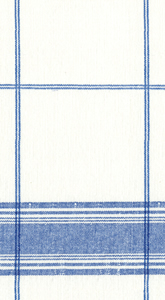 I have my eye on the Blue Fleur Provencal Tablecloth and Sage Spot Pareo for summer! While we’re on the subject of Easter (see post below), how darling are these white wicker baskets with the monogrammed ribbon? 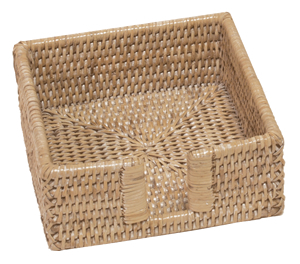 These seersucker baskets are too cute as well. Loving these ruffled tops by the Greek designer, Caroline Constas for Spring and Summer. Classic shirting with a twist! If you live in the Bay Area, Save the Date! From March 14th- 16th, San Francisco-based Dottie Doolittle is offering 30% off Kissy Kissy baby essentials. These super-soft 100% Pima cotton baby clothes are a classic (and are rarely on sale!). Finally! An organic shampoo getting rave reviews. I can’t wait to try this product by Hairstory that experts say works on every type of hair. Here’s to hoping…stay tuned! 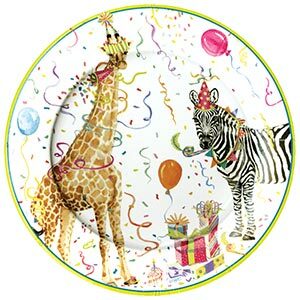 Last year, I published a post on Birthday Supplies for the Kids. I frequented this list of vendors while planning Hank’s 2nd birthday party and have a few more items to add to the list. Happy, happy! These party favor bags (pictured above) are so darling from Pinhole Press. 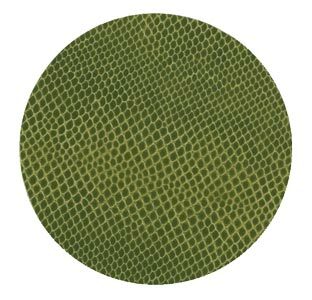 308gsm subtly textured matte paper. Printed and signed by the photographer. 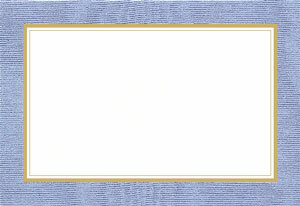 St. Frank just released the newest shades of their popular Baby Alpaca Throws. I am loving the sage and soft pink colors for Spring. 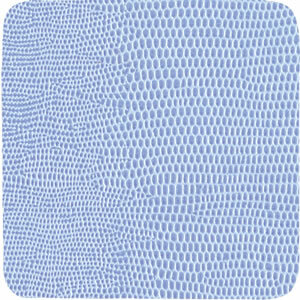 Cuyana’s new striped silk scarves have arrived and I want one in every color! Who isn’t a total sucker for cute packaging? I love these Chantecaille bebe products with the talented Kate Schelter’s illustrations on them. They’d make the sweetest and most luxurious gift. I’m late to the game on this one. A colleague recently introduced me to Bloom Nation, a trusted community marketplace for people to list, discover, and send unique bouquets handcrafted by local florists across the country. Just enter the zip code of your lucky recipient and you’ll see a curated list of florists in the area. I came across this florist in SF that I will most definitely order from soon (how beautiful are those blooms below?). How beautiful are these watercolor note cards from Architectural Watercolors? I would even frame these for a gallery wall– perfect for a kitchen! Also, a big fan of the Sticky Notes folio here. So proud of my dear friend Lou and her recent collaboration with Goop. 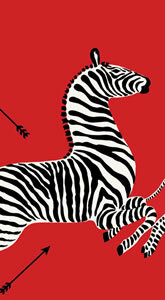 The hand-illustrated Lover’s Card Set makes the perfect gift (even post Valentine’s Day!). Be sure to check out her custom options as well. Brides-to-be, take note…her custom playing cards would make the perfect addition to any welcome bag. While flipping through the March issue of House Beautiful, I came across custom crest creator, Stephanie Fishwick, and am dying for a custom crest rubber-and-wood stamp. So many amazing options to help spruce up your stationary collection. Brides-to-be: take note of her amazing wedding invitations (see below!). Crisloid, famed for their backgammon boards, just released a new backgammon table that I will own one day;) It can fit in any room with their customizable options (see here). Transport me to that vineyard stat! A friend recently sent me a link to this darling swimwear collection out of France called: Happy Duck. I especially love the family matching swimwear sets. A perk: they offer free worldwide shipping! Happy mama. NYC friends + readers: La Ligne is hosting their first-ever sample sale starting tomorrow through 2/11. Editors have called this brand, “the line to channel your inner French girl”. Run, don’t walk! How sweet are these pink (and blue) bunny notecards from Pixie Lily? The perfect set to keep on hand for Thank You notes or gift enclosures! Over MLK weekend, we finally visited the award-winning goat and sheep dairy farm, Tomales Farmstead Creamery. As we hiked up the pastures to visit the two-day old sheep (! ), we were immediately transported by the gorgeous West Marin landscape. I highly recommend signing up for one of their guided tours on the first Sunday of each month. Tours include: a hike up to the pastures to learn about their organic pasture management system, a visit to their milking parlor, a visit with the animals in the barn and/ or in the pastures and of course, a cheese tasting! If you live in the Bay Area, be sure to check out the list of restaurants, farmers market, markets and cheese shops so you can try their delicious cheese for yourself! Click here. For the vinaigrette: Use a juice extractor to juice the lemons, orange, and shallot using the entire fruit with peel. Pour the juices into a small bowl and gradually whisk in the olive oil in a thin stream to form an emulsion. Season with the salt and pepper. Taste and adjust the seasoning. Whisk again, cover, and refrigerate for at least 30 minutes or up to 3 days. Makes about 2 cups. To sieve the eggs: At Bottega, we push the hard-cooked egg whites through the sieve separately, then sieve the yolks and layer the two separately for each serving. If you want, sieve the whole eggs and forget about separating whites from yolks. Using a mandolin (an inexpensive $30 version works fine), carefully shave each Brussels sprout holding the stem end. A finger guard with prongs is a good way to keep your knuckles away from the blade. You can also cut off the stem of each B. sprout and use the shredder blade of your food processor. You should have about 9 cups when all of the B. sprouts have been grated. In a large bowl, toss together the shaved Brussels sprouts, sieved eggs, and chopped almonds. Pour on about 3/4 cup of the vinaigrette and toss again. Spoon into chilled small bowls and top with the pecorino. Top with a little more of the vinaigrette. 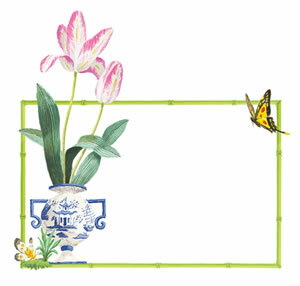 Check out her beautiful collection of stationary and digital/ print invites here. When my mom and sister were in Austin together over Thanksgiving, they saw the most beautiful votives at Perla’s and tracked down the vendor: Glass Blowing Austin. Lucky for me, Santa brought me one for Christmas. I am absolutely in love with the aqua glass votive– it gives off the most beautiful glow that is just mesmerizing. If you’re in Austin, be sure to check them out or visit them online here. Getting organized is probably one of your New Year’s resolutions. On the top of my list: deal with the overflow of toys from Christmas. Luckily, my friend sent over these darling toy storage bins from Rice DK–handmade with love in Madagascar. I am currently eyeing the Circus, Airport and Aquarium boxes below. 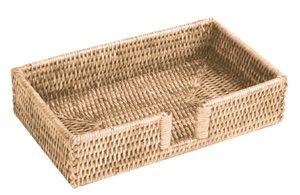 Finally, storage boxes you’ll want to show off! My go to one-stop shop for cocktail napkins, plates, disposable guest towels etc! Click here to find a retailer near you.